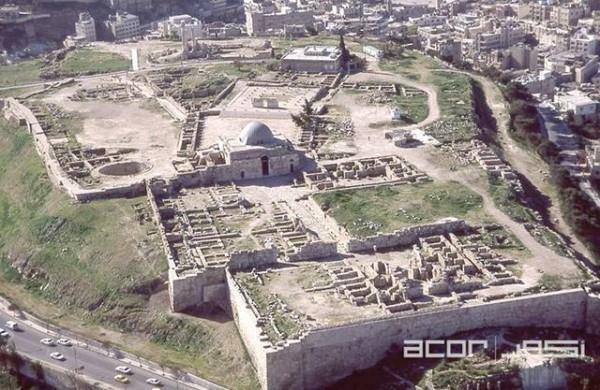 (MENAFN - Jordan Times) AMMAN — A four-year project aims to document and share the current collection of objects at the Jordan Archaeological Museum (JAM), which represent a mirror of the country's history worth displaying, said a German expert. The project, called Documentation of Objects in Jordanian Archaeological Museums (DOJAM) is a joint venture between the German Protestant Institute of Archaeology (GPIA) and the Department of Antiquities (DoA) in Jordan, which was launched in 2017 and financed by the German Gerda Henkel Foundation. The project's goals are to build-up and implement a museum database that can be used by all museums under the auspices of the DoA, improve storage facilities and formulate a risk management plan, while training DoA staff, claimed former director of the GPIA Jutta Häser who is a project manager of DOJAM. Häser's tasks include structuring the database, data acquisition at the JAM on the Citadel of Amman (around 7,000-8,000 objects), coordinating the renovation of storage facilities at JAM, coordination with the project's staff, writing a risk management blue print and training the staff. According to the German scholar, the biggest problem so far, has been finding the right equipment for suitable storage of archaeological objects like acid-free boxes, heavy duty boxes, acid-free paper and acid-free package material. 'The material which can be found in Jordan has a lot of ingredients which can harm the archaeological objects. However, the project is determined to use the materials which can be bought in Jordan because it makes no sense to import large quantities of packing material from outside,' she noted. The storage of 7,000 to 8,000 objects in regards to space is not a problem, since there is enough space at the JAM when the rooms are cleared and renovated, she outlined. The JAM houses unique statues from Ain Ghazal, one of the oldest representations of human beings. 'The production technique is also unique because they are built up of reed and lime plaster,' Häser stressed. Furthermore, there are many other artefacts in the JAM which are of special interest for the history and culture of Jordan, like the Iron Age statues of the Ammonite kings (8th century BC) found in and around Amman, the expert underlined. 'There are so many interesting archaeological objects at the JAM which show especially the long history of civilisation of the Amman region as a mirror of the history of the country, that it would be more than worth to formulate a new overall concept for the content of the museum exhibition and the modern display of the objects,' she highlighted.